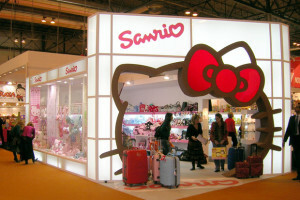 A database storing 3.3 million sanriotown.com accounts was found online. The database for sanriotown.com, the official online community for Hello Kitty and other Sanrio characters, has been discovered online by researcher Chris Vickery. The database houses 3.3 million accounts and has ties to a number of other Hello Kitty portals. Vickery contacted Salted Hash and Databreaches.net about the leaked data Saturday evening. In addition to the primary sanriotown database, two additional backup servers containing mirrored data were also discovered. The earliest logged exposure of this data is November 22, 2015. In order to prevent identification of the database, Salted Hash is withholding screenshots of the data, IP information, DNS data, and other identifying markers. Sanrio, as well as the ISP being used to host the database itself, have all been notified. An automated email from the ISP confirmed that the incident notification was logged, but no further details are available. The Hello Kitty brand is highly popular the world over, to kids and adults, so the immediate concern is that the database might contain the personal information of children. The recent VTech data breach exposed 11.6 million people, and 6.4 million of them were children. We’ve asked Sanrio to confirm if there were minors in the database, and the exact count if so. This post will be updated as new information emerges. In the meantime, it might be wise to take some basic precautions. If you or your child are registered on sanriotown.com or any of the related domains, it might be best to make sure that you’re not using the same password on critical websites, such as those related to financial matters, email, or social media. In the event that such overlap exists, then you should change your passwords immediately. Moreover, if you use the same hint question and answer across all websites, or related hints and questions, it’s a good idea to change those as well. If the option is available, you should strongly consider using two-factor authentication. Most banks and social media websites offer this feature. While having sensitive details exposed is bad enough for adults, when the information relates to a child – it’s worse. If someone managed to compromise a child’s identity, the fraud might not be detected for years, because most parents don’t monitor their child’s credit record. Given the way things have been, considering all the data breaches in the last year or two, It might be a good idea to start doing so. Yearly credit reports are free, and victims of identity theft can obtain access to all necessary reports at not cost. Update: Shortly after this article was published, Vickery contacted Salted Hash to report that the passwords were in fact SHA-1 hashes, and not MD5 as he had previously stated. Update 2: Earlier this afternoon, Chris Vickery confirmed that the three IP addresses that were disclosing user information have been secured. The issue wasn’t a hack, but a misconfigured MongoDB installation. This is the second time Sanrio has had to deal with a database leaking information. Earlier this year, the company investigated a database leak that exposed information on more than 6,000 shareholders. Update 3: In an email to Salted Hash on Tuesday, Sanrio confirmed the exposed Hello Kitty database contained information on 186,261 minors, or those under the age of 18. The good news is that, as mentioned yesterday, the leaked databases have been secured and the company’s investigation so far shows that Vickery was the only person to have supposedly accessed the data. As reported in the original story, there are no financial records in the exposed database, and only the previously mentioned personal information was exposed.